Important current affairs of 22nd december 2014 are given below. 1. National Mathematics day observed on 22nd december. 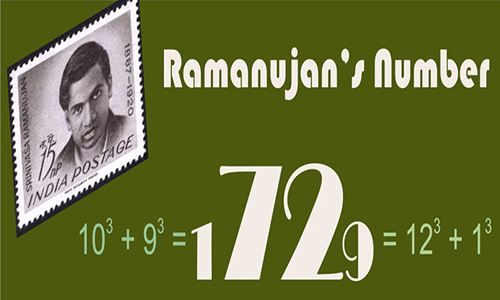 * The birth anniversary of great Indian mathematician Srinivas Ramanujan is celebrated as national mathematics day. * It was his 127th birth anniversary. * He is remembered for his contribution to mathematics in number theory, infinite series, mathematical analysis and making formulas and equations. 2. Rajinder Khanna was appointed as director of research and analysis wing. * The appointments committee cleared Khanna, a 1978 batch RAS cadre, for the post of RAW chief for a period of two years from 31 December after incumbent Alok Joshi retires. * Along with Khanna, the Centre had also announced the appointment of Arvind Saxena as Director of Aviation Research Centre (ARC). 3. Beji Caid Essebsi wins Tunisia’s presidential election. * Beji Caid Essebsi won Tunisia’s first ever free presidential election. * He bagged 55.68% votes in his favour against his rival Moncef Marzouki. 4. Suresh Prabhu advisory committee on integrated development of power submitted its report on 22nd december. * The advisory Group was set up by the Union Government on 25 June 2014. The Group was chaired by Suresh Prabhu. * The committee called for measures to improve Coal India Limited (CIL) and its subsidiaries. * It also recomended for opening up of coal sector to improve domestic fuel production. * It sought for reforms in distribution of coal including public-private partnership and separation of Carriage and Content in the Distribution license. 5. Indian golfer Arjun Atwal won Dubai Open Golf. * Arjun Atwal won the inagural edition of Dubai open golf championship. In this title, South Korea’s Wang Jeung-hun came second. * Among other Indian golfers, Shiv Kapur was placed at 11th position along with Gaganjeet Bhullar. While, Jeev Milkha Singh was placed at 31st position and Daniel Chopra finished at 35th position.